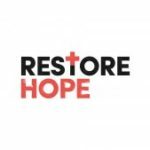 “Restore Hope” is the theme for the 1st Annual Biblical Counseling Conference hosted by the Biblical Counseling Center on Saturday, April 29th. This conference will equip and encourage you to restore hope to the hurting in your church and community. The conference is geared toward all church leaders, from pastors and care ministers, to Sunday school teachers and small group leaders, and anyone who is interested in the one-another ministry of discipleship. I’m honored to be one of the main speakers, along with Alan Benson. In addition to main sessions, the BCC’s experienced teachers will help you restore hope to the hurting, including struggling married couples, the divorced, adoptive families, the addicted, and the grieving. A teaching track on Basics of Biblical Counseling is also available as well as a seminar on starting a biblical counseling ministry. WHERE: BCC’s Schaumburg site at Bethel Church, 200 N Roselle Road, Schaumburg, IL, 17 miles from O’Hare International Airport. COST: $25 per person, $15 per student ~ lunch is included in cost when you register by April 25. REGISTER: Visit the Conference page at Biblical Counseling Center’s website or phone us at 847-398-7193.